Here you will find the complete range of paint brushes that we have available at Promain. We have everything you could need to aid you in your painting project and we understand that it is very important to have quality painting equipment to make your job as easy and as pleasant as possible. It can be obvious when the painting equipment that you are using is bad quality but with Promain you won't have that problem as we only supply the best quality products that are available on the market. We make sure that the painting brushes that we supply are only the very best available whilst also making sure they are at the best prices possible. A general contractor all purpose paint brush in various sizes. Synthetic hand crafted brush that helps achieve a smooth finish with zero or minimal brush marks. A high quality, 90mm facade paint brush for application of Keim paint products. A high quality, oval shaped glaze paint brush for application of Keim Concretal Lasur. Quality paint and varnish brushes from RODO. A quality 9 inch floor brush for applying Treatex Wood Oils to Oak and other Wooden Floors. An alternative to paint brushes are paint rollers which we have available, as well as mini paint rollers. We only sell the best paint rollers that are available as well as disposable paint brushes that are great for a one off uses which, unless you are a painter by trade, is quite a common occurrence. All of the paint brushes and paint rollers that we supply would not be sold by us to our customers if they weren't the best quality available. Therefore if you are looking for painting accessories such as paint brushes, paint rollers and other types of painting accessories then make sure you look no further than Promain, as we only sell the best products that we would be more than happy using ourselves. We not only sell paint brushes on their own but we also sell roller brush sets as well as refills to make sure that you are as equipped as possible with the best products available at the best prices. 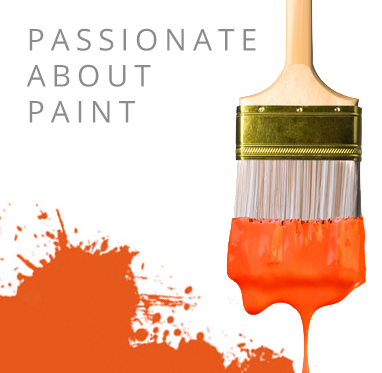 If you have a painting job to do then make sure you look no further than the products that we supply here at Promain.